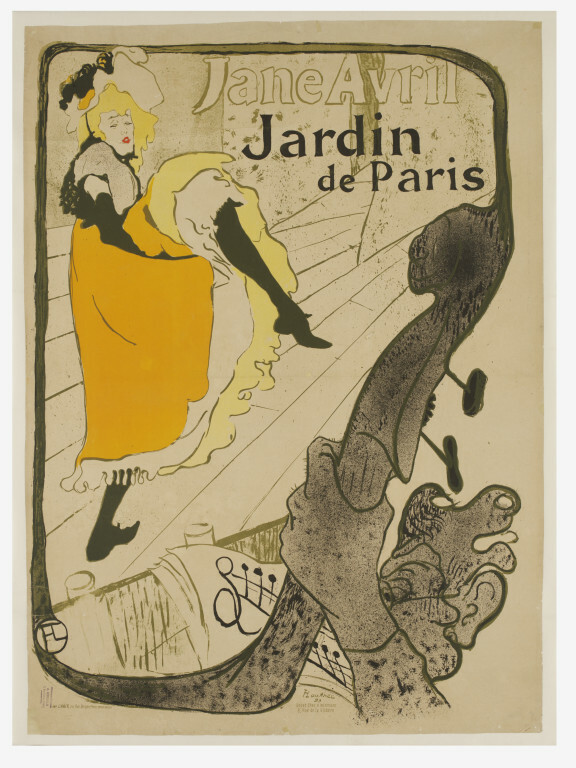 The Jardin de Paris was a café-concert hall owned by the proprietor of the Moulin Rouge. One of the hall's performers, Jane Avril, is seen here dancing on stage. 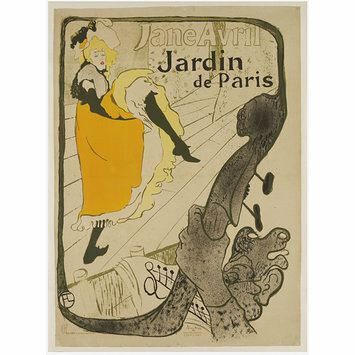 Avril was a favourite subject of Toulouse-Lautrec's and appears in many of his works from this period, including another poster, Divan Japonais, which, unusually, shows her as a spectator rather than a performer. 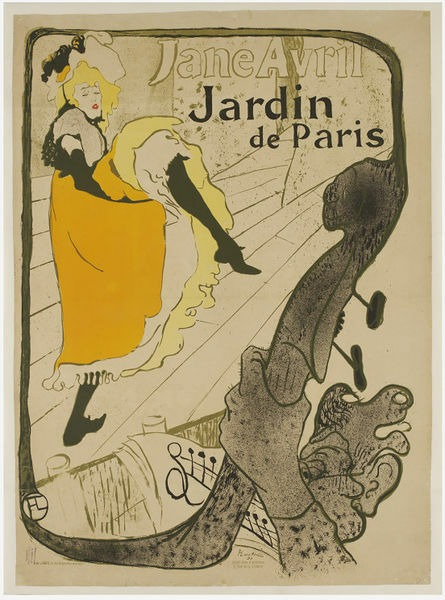 This poster demonstrates the visual juxtaposition of the beautiful and the grotesque that was so beloved of Toulouse-Lautrec: the sensuous figure of Avril contrasts sharply with that of the caricatured features of the musician playing the double-bass, his hairy knuckles are rendered all the more conspicuous by their proximity to her frothy gown. A woman in a red dress and feathered hat raises her leg in the can-can while dancing on stage. In the foreground a musician playing a double-bass can be seen in the orchestra pit. Transferred from the British Museum.